While buying a budget Android phone, there are several tradeoffs and the key limitations in most devices is the battery backup. This limitation is more conspicuous when you switch from a feature phone to budget Android. 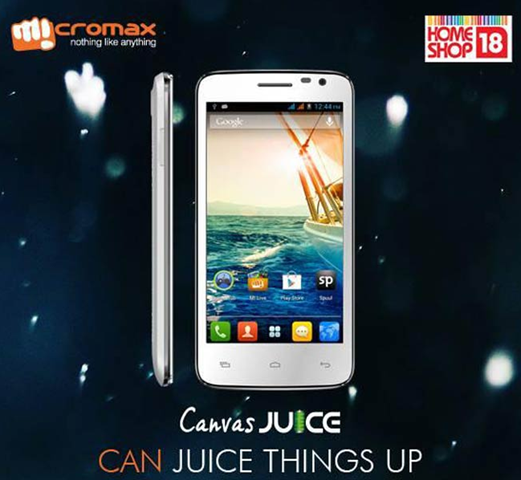 To allure those looking for a better battery backup in budget segment, Micromax has today officially launched, Micromax Canvas Juice A77, a smartphone with a 3000 mAh battery. Let’s take a look at hardware specs to know what can be expected from this device. The Primary camera has a 5 MP sensor supported by LED flash. Various budget android phones will offer you 8 MP camera in the same price range, but the Micromax phones in the Canvas Fun series will offer you similar camera module in this price range. Don’t expect too much from this camera and you will be fine. The camera is capable of 720p HD video recording. A VGA front camera is also present for video recording. The internal storage is 4 GB. This is something which is very standard in budget android phone and is not very impressive. Domestic manufacturers are slowly evolving towards providing more internal storage. Out of 4 GB a little less than 2 GB will be available at users end. The memory can be further extended to 32 GB using MicroSD card. The processor employed is 1.3 GHz Dual Core processor. The chipset used is MediaTek MT6572 chipset which has been ubiquitous in the budget segment lately. For a couple of thousand extra you can get quad core phones like Xolo Q700 and Xolo Q1000 Opus. The RAM capacity is 1 GB and this is certainly above average. Most phones offer 512 MB RAM below 10k mark and the inclusion of 1 GB RAM will definitely provide you with better Android experience. The Battery which is the highlighted feature of this phone has a capacity of 3000 mAh. The battery carries enough juice to let you squeeze 10 hours of talk time and 282 hours of standby time. Though the battery backup is certainly above average, it still falls short of what is expected of a dual core device on 3000 mAh battery. The Display is 5 inches in size and comes with FWVGA 854 X 480 resolutions and sports 16.7 million colors in this smartphone. Considering the price range, the display is certainly above average. 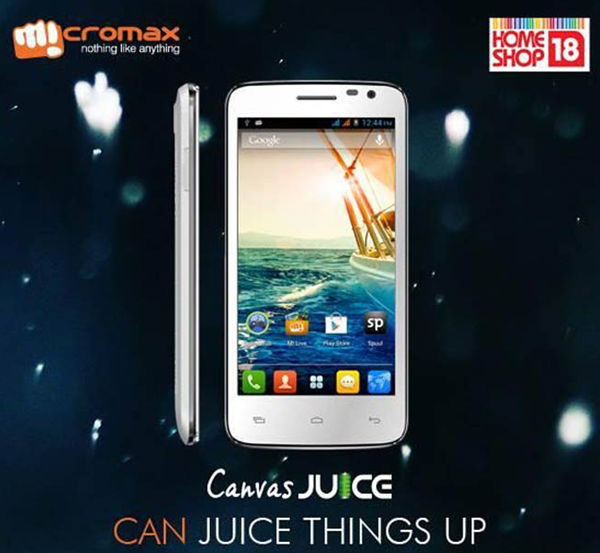 The display is similar to what you will get in phones like Micromax Canvas Fun A76. The phone runs on Android 4.2.2 jelly bean operating system. Connectivity features include 3G, WiFi, Bluetooth 3.0, microUSB and GPS. The phone will compete with phones like Celkon Signature One A107+, Xolo A500S, and Micromax Canvas Fun A76. The phone will also compete with quad core devices in the same price segment like Intex Aqua i6, Gionee Pioneer P3, Xolo Q1000 Opus and Xolo Q700. The phone comes with decent specifications on paper. It overcomes some major limitations by providing 3000 mAh battery and 1 GB RAM. This makes it a viable dual core options standing apart from the dual core crowd. The threatening competition comes from quad core devices which are slowly and steadily sliding into the budget dual core price range. does this support USB OTG? My phone started showing problems within 7 months from the date of purchase. The camera stopped working, the 3 touch buttons at the bottom would hang, the screen would go blank etc. I took it to the service centre and they returned it after a couple of weeks. Though the camera was fixed, other problems were still there. I took it for a repeat servicing. They informed me that there was a problem with the motherboard and it would take some time. It has been more than 2 months and I still haven’t got my phone back. They are not even giving any information as to when i might get my phone back. My phone started showing problems within 7 months after purchase. The camera stopped working, the 3 touch buttons at the bottom of the phone would hang, the screen would go blank and several other problems. I gave it for repair to the service centre. They returned it after a couple of weeks. I found out that though the camera was fixed, other problems remained. I sent it for repair again. I was informed that there was problem with the motherboard and that it would take some time. But it has been over 2 months since that date and I still haven’t received my phone back nor have they provided me with a replacement. They are not even telling me as to when i might get my phone back.